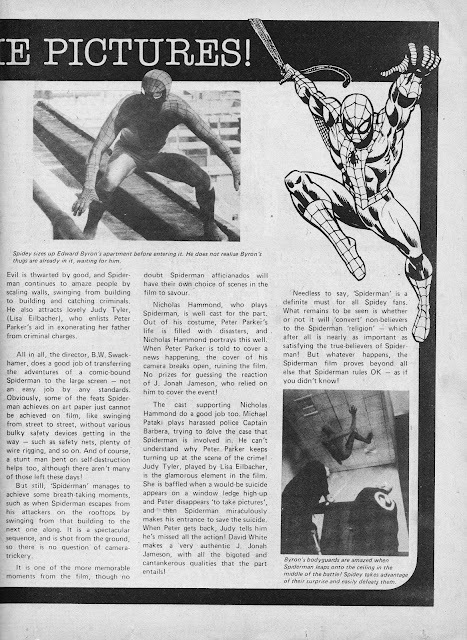 Here's a double-page spread reviewing (or summarising in detail) the first SPIDER-MAN (faux) feature film, published in Marvel UK's SPIDER-MAN weekly in March 1978, to coincide with its first release (it resurfaced again, as part of a double-bill, later the same year... presumably some indication of its initial success). I think the review is probably over generous in its (muted) praise. I never saw the movie on the big screen but - even on TV - the pilot episode looks a little ropey 'round the edges with some notably bad attempts at blue screen work which would have shamed (or, at least, mildly embarrassed) THE TOMORROW PEOPLE effects team and were - as far as I can recall - abandoned for the (brief) weekly series. 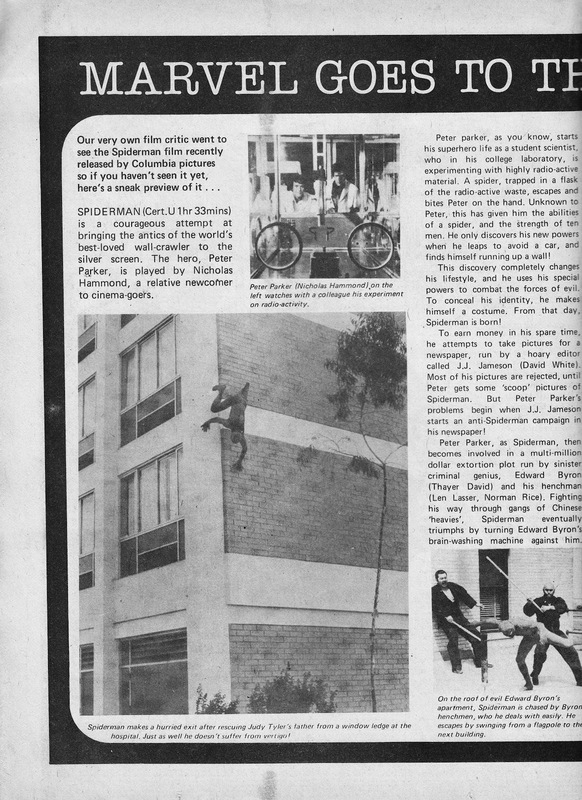 That said, I do remember watching the TV show when it hit ITV in 1981 (one episode frustratingly coincided - as I recall - with my primary school disco) and not being remotely critical, other than noting the unconvincing wall-crawling.